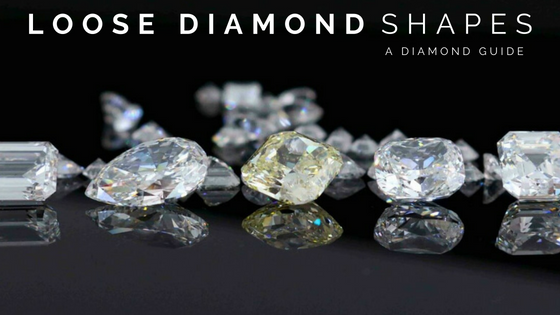 How does a diamond cutter decide what shape to create? Ever wondered about this question. Well a craftsmen’s prime responsibility is to maximise carat weight when a rough diamond is cut. Since these rough diamonds a chunk of rocks in any shapes and with inclusions, it is diamond cutter’s job to cut the diamond in a shape that preserves the diamond’s weight. A diamond’s value is determined in part by the total wastage in rough diamond. Shapes that preserve the most diamond weight are less expensive. Ironically enough, round cut leads to almost 60% of wastage. Whereas fancy cut diamonds like marquise, pear shaped, radiant, cushion cut have longer and less uniform contours hence lead to less wastage. Popularity of a diamond is influenced by various factors including, rarity, its brilliance, difference in prices, but most of all its appearance when it is embedded in a diamond engagement ring. The shiner the diamond, the pricier it is and hence more popular. Every shape and cut is distinctive in its origin, traits, aesthetic properties and outlay. While choosing a diamond it is of utmost importance to keep these principles in mind. Shape of a diamond should resonate the personality of the wearer. Buying a diamond is an intimate decision, so instead of going with the popularity trend, make a choice that fits your lifestyle the best.